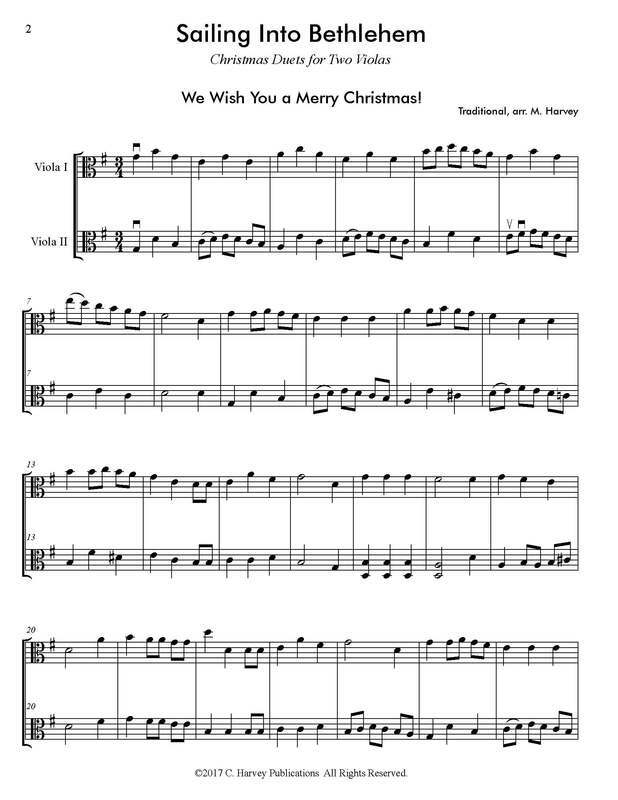 Looking for intriguingly beautiful intermediate viola holiday duets? 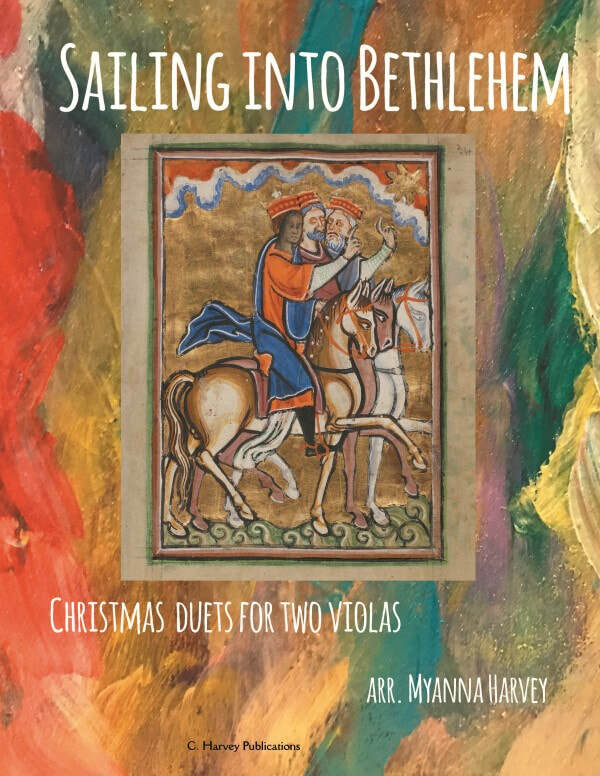 Sailing into Bethlehem: Christmas Duets for Two Violas gives you a chance to play the carols you love with your teacher, your students, or your friends. 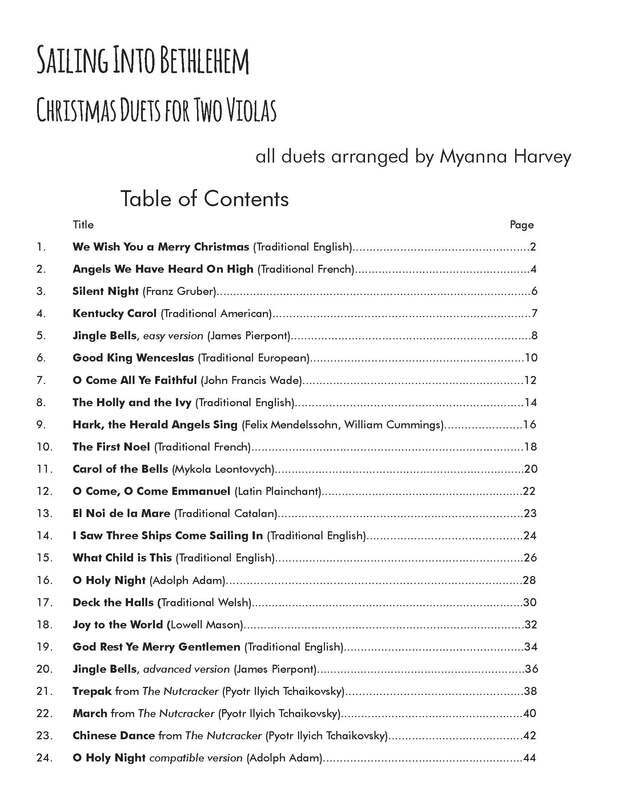 Weaving melodies with accompaniment, Myanna Harvey has created a Christmas book in the style of Flying Fiddle Duets for Two Violas. Know any violinists or cellists? You can pick up a copy of the violin book or the cello book and play with those instruments as well; the viola book is fully compatible with the violin and cello books!